How These Alternatives Can Help You Avoid Foreclosure - Learn Here! Going into foreclosure can happen for various reasons, such as money problems, divorce, or job loss, and it is never a pleasant experience. However, there are several alternatives that can help you avoid foreclosure, and they are generally considered a better substitute to losing your home. 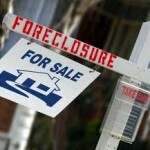 Foreclosure happens when a borrower cannot make monthly payments on his or her mortgage loan anymore. This leads to the property being taken by the bank and sold. Foreclosure involves several stages: after 3 to 6 months of missed mortgage payments, the lender notifies the borrower that he or she is facing foreclosure. This is done through a Notice of Default. A reinstatement period begins, in which the borrower has a chance to correct the default. If the borrower can’t correct the default, he or she will receive a Notice of Sale and the property is listed in a public auction. The winner of the auction will gain possession of the borrower’s property. Bankruptcy. Bankruptcy offers individuals the chance of a fresh start by forgiving debts that they are unable to pay, while giving lenders the chance to recover some of their losses through the debtor’s assets. Bankruptcy can become a very expensive process, and it’s recommended that you consult a professional before choosing this option. Reinstatement. If you are able to repay the missed monthly payments, you could make your mortgage loan current, which will help you avoid foreclosure. This alternative is valuable if you use it early on, because you won’t have that many missed payments. Reinstatement can be very helpful if you are recovering from a short-term money problem, and can show the lender that you can repay what you owe and start making monthly payments on time. Be aware that you will most likely have to pay late charges and penalties. Refinancing. Refinancing may be able to reduce your monthly payments by securing a lower interest rate than your current mortgage rate. You are required to be current on your monthly payments and have a fairly acceptable credit score in order to qualify for refinancing. You may also be able to qualify for refinancing through the Home Affordable Refinance Program (HARP). Forbearance. When facing money problems, your lender is able to grant you a “forbearance,” meaning that your monthly payments will be put on hold for up to 6 months, giving you time to get back on your feet. In many cases, forbearance is combined with reinstatement, in order for you to pay the missed monthly payments on your loan, once your financial situation has improved. Forbearance may be extended for another 6 months in case you are unemployed. Repayment plan. If you are a few months behind on your mortgage payments, you may also qualify for a repayment plan. The missed payments and late fees are combined with your regular monthly payments. However, you must be able to prove to your lender that you can afford to pay the past due amounts, and start making monthly payments on time. Short sale. When selling your home through a short sale, the property is put up for sale, and sold for a price that is less than what you owe to your lender. After the sale is completed, you will have to negotiate with your lender to accept the sale price as payment in full. This option will still damage your credit, but, if you are successful in convincing the lender to accept it, you won’t owe anything anymore, unlike foreclosure. Renting. While this option has nothing to do with your lender, you will need to rent the property for an amount that will cover your monthly mortgage loan payment. Almost all of these options will affect your credit negatively, and are not ideal, but they are better alternatives than losing your home. But this doesn’t mean that you should just go ahead and pick one blindly, without knowing what it involves. Having knowledge about all of the alternatives that are available, how they work, and how they will impact you, is very important and should be thoroughly researched.